A piece of paradise calling your name to relax and hang out with the whole family. Float, swim or sit by the water while watching the little ones play and kick around. 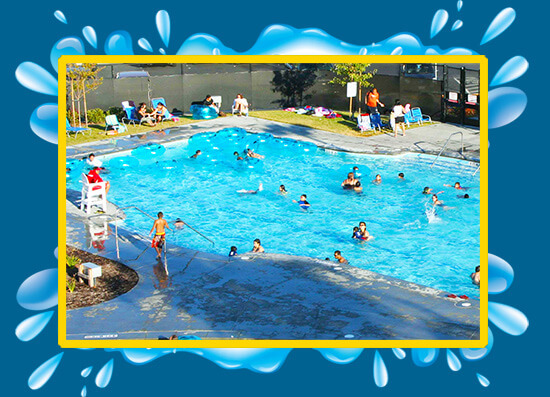 Our 25 meter lap pool can be used for wading or fun for the whole family. Have no worries since this piece of paradise is 3.5 feet to 4 feet deep. 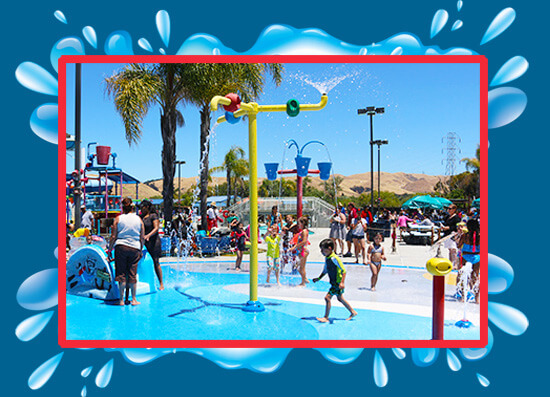 A fun filled splash pad! 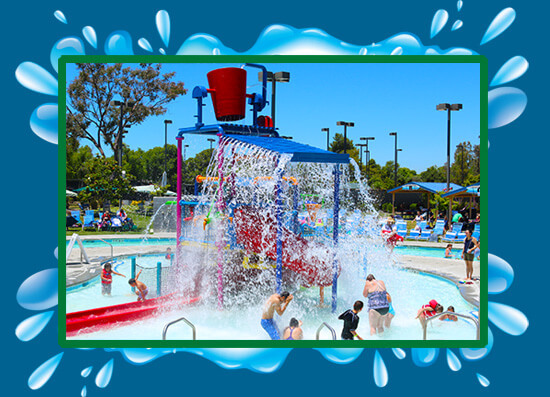 Let the toddlers get wet, explore on our splash pad and discover the fun of water through fountains, showers, and a wet slide. 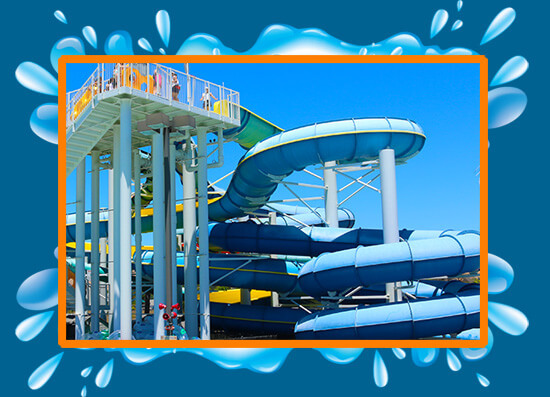 Catered to children ages 3 to 7, Bucket Bay features an 800-gallon water bucket and a wet play structure with three slides. Through sprinkling water, kids can navigate through wet play structure by climbing up rope netting or staircase to slide down the waters slides into a pool of fun! 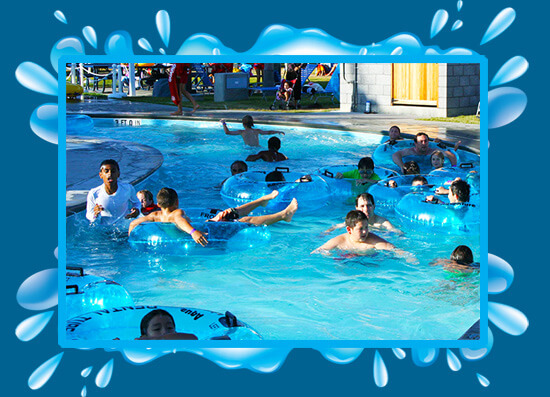 Be sure to stick around to see the 800-gallon water bucket overflow and tip over, soaking everyone in its way! If you dare, climb onto our four story tower where people overcome our mighty and adventurous fortress by sliding down our 4 slides for spills and thrills. Test your courage and face our slides: Two (open and closed) slides are single rider body slides and two (open and closed) slides are tube slides. Double up and overcome our slides with your partner by using yellow double rider tubes, available at the end of run out of the water slides. 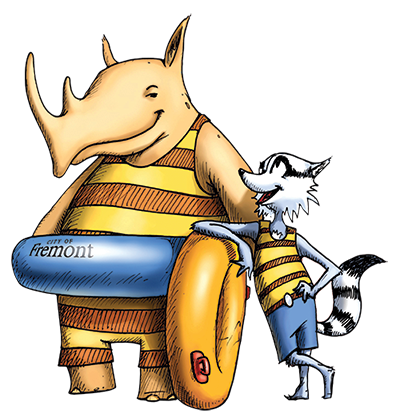 If you prefer to face the slides on your own, rent an inner tube to use at the retail shop.